The UK rail network has undergone a series of massive restructuring exercises throughout its history. Having been run into the ground during the First World War the myriad Victorian era companies were rationalised into the ‘Big Four’ under the Railways Act 1921 but were still set up as joint stock public companies. After a few halcyon inter-war years synonymous with speed record attempts and evocatively named express services ,such as the Flying Scotsman and the Cornish Riviera, the railways were again run into the ground in the Second World War. Post-war nationalisation was inevitable and British Railways (latterly British Rail) came into being under the Transport Act 1947. There then followed nearly fifty years of a much maligned nationalised system, often ridiculed as the ultimate example of an inefficient, strike prone, state owned leviathan synonymous with poor customer service – as often epitomised by the British Rail sandwich! In fact it is now widely accepted that much of this criticism was unfair and, after a shaky first few years, the organisation had developed into one of the world’s more efficient networks by the end of its existence. Nevertheless, having survived the drive for privatisation throughout the Thatcher Government of the 1980s, it finally succumbed under the Major administration of the early 90s and the passing of the Railways Act 1993. Those who dreamed of a return to the halcyon days of the 1930s and the resurrection of something along the lines of the Big Four were to be sorely disappointed. It was deemed impractical to recreate the original privately owned system whereby railway companies owned the track, rolling stock and other infrastructure. The track and infrastructure were separated from the provision of services and placed in the hands of a state owned company known as Railtrack (the descendant of which is Network Rail) whilst leasing companies acquired the rolling stock. 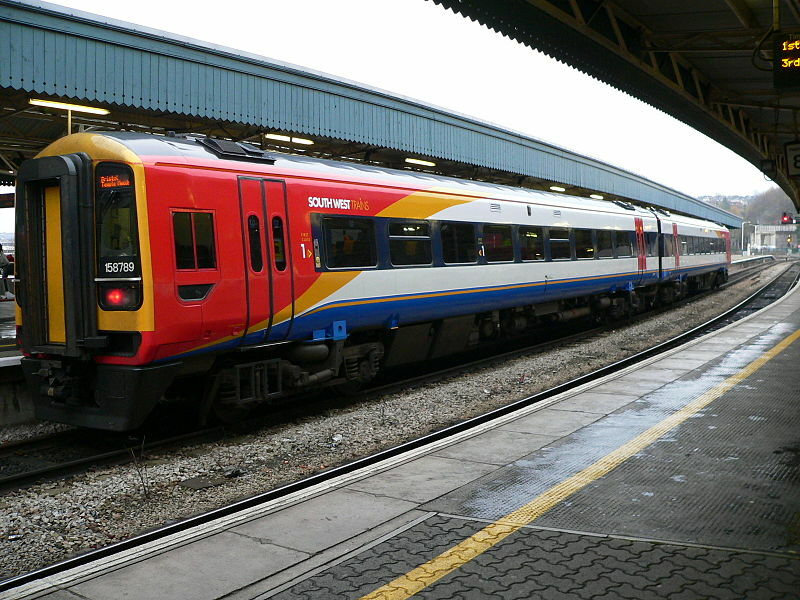 Market conditions were created by enabling companies to bid for franchises in order to win the opportunity to use the infrastructure and rolling stock to operate services. 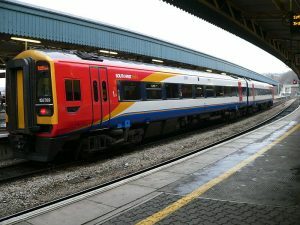 Since then the franchising system has rarely been out of he news with much adverse comment focused on the bidding process (especially regarding miscalculations in how much to bid), fragmentation of the system, lack of seating capacity on key routes, fare structures and a failure to generate sufficient competition. Moreover there is the insoluble conundrum of, if it is a bad thing for railway services to be operated by the British state, why is it acceptable for overseas state owned companies to bid for services? The debate has finally entered the mainstream quality legal literature with an excellent article by Tony Prosser and Luke Butler in the Modern Law Review. The upshot of this is that the distinction between ‘franchises’ and ‘concessions’ has been blurred in a most unsatisfactory manner which very often leaves all parties with the worst of all worlds. In a true concession arrangement the revenue risk remains with the public entity providing the concession which retains responsibility for setting fares and so on. The agreement will specify how much the concessionaire must hand over to the public body and how this is to be calculated (eg whether a fixed amount or a percentage). Such arrangements are possible under section 23 of the 1993 Act which enables the Secretary of State to exempt the arrangement from normal franchising requirements. The London Overground and Merseyrail contracts are operated on this basis as will be the new Crossrail service – or to give it its new name, the Elizabeth Line. Prosser and Butler argue that there is much to be said for this approach, despite the relative lack of commercial freedom when compared to a pure franchise arrangement of the type originally envisaged. Aside from the aforementioned examples in the UK, it is a model which has been widely adopted in other European countries. The clear delineation of risk and responsibilities tends to be conducive to more stable long term relationships between the concessionaires and their clients and from this flows greater trust. From this in turn flows a greater willingness to afford concessionaires more discretion in terms of how they operate services. Transport for London as extolled the Overground Service as a paradigmatic example of the benefits of this type of relationship. A somewhat less complicated argument focuses on the fact that, although there may be competition in terms of the right to provide services, from the rail travellers perspective there is limited competition at the point of delivery. Open Access Agreements have never really taken off, which means that passengers rarely have a choice as to which company to use on a particular journey. Overall the articles shows clearly how, especially in the complex and fraught world of public/private partnerships, it is difficult to legislate for every eventuality and new systems tend to develop a life of their own. The system which has now emerged, whilst it has evolved within the framework of the 1993 Act and relevant EU legislation, may not equate with what was originally intended. As Prosser and Butler also acknowledge, nationalisation of the industry is also back on the agenda of the Labour Party although, in common with many others, they doubt the practicalities of joining all the bits back together again. This entry was posted in Rail franchising. Bookmark the permalink. The High Speed Rail (London – West Midlands) Act 2017 | Railways and Law on HS2 and Strategic Environmental Assessment – Again!